Ivory Coast player and former Newcastle United midfielder Cheick Tiote died on Monday at the age of 30 after collapsing during a training session in China. Tiote made over 150 appearances for Newcastle from 2010 to 2017 before joining second-tier Chinese side Beijing Enterprises in February. The world of African football stood together in mourning on Monday in light of the tragic news that Cote d’Ivoire midfielder Cheick had passed away in China. Former teammates and opponents alike paid tributes to the tenacious operator, as the world of African football comes to terms with another significant loss. Newcastle said on their website that he was training with the club when he collapsed and taken to hospital where he died. “It is with great sadness that I have this afternoon learned of Cheick’s death. “In the all the time that I have known him, he was a true professional, dedicated and above all, a great man,’’ Magpies manager Rafael Benitez said. 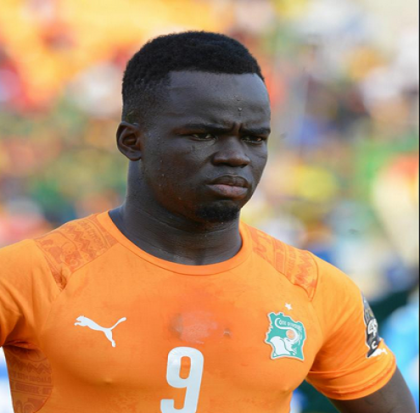 Tiote also played 52 times for Ivory Coast and was a member of the squad that won the 2015 Africa Cup of Nations. He began his club career in Belgium with Anderlecht in 2005 before moving to Dutch side FC Twente and then on to Newcastle. Newer PostAisha Buhari Returns From UK, Says President Buhari is ………..